How are you doing Mr. Android? First of all, I would like to shift your attention a bit backwards. No worries! This is not a history lesson or something from the ancient past. Rather, I would like to share with you folks some Android statistics from the last two years. Hopefully, it will give you a better idea about which malware is spread around the most. By the way, if growth of Android malware was on the stock exchange and you had invested some money in it, you would have become a billionaire a few months ago. So let's check out some graphs! 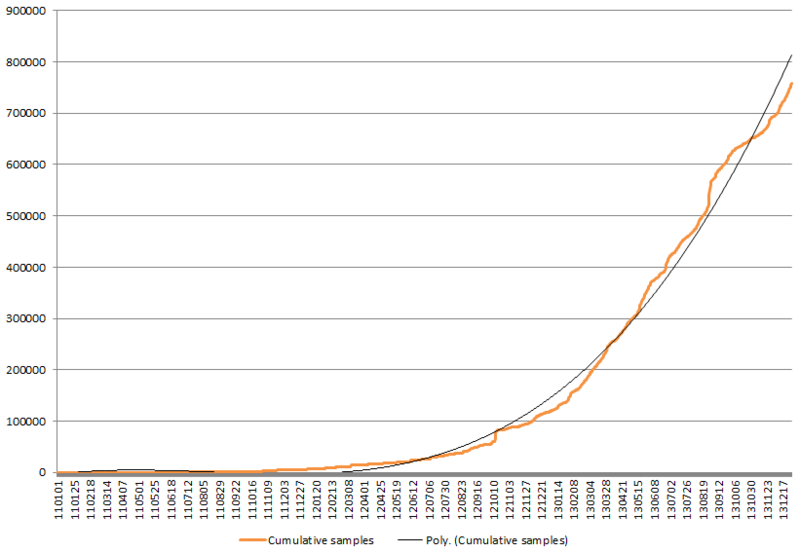 In the first graph you can see how many samples we have to process in our databases. It shows dates between 2010 through the end of 2013. Pretty nice growth, isn't it? By the end of 2013, we had almost 800,000 unique suspicious Android samples which we had to process and cover in VPS updates. In the second graph, you can see the TOP 10 detections of malware families we have seen during the last half of the year. The majority are fake applications or data stealing apps. This group of malware can really easily mess up your device. Data which is mined from these apps can be used against you. Last year, I blogged about a few examples which we saw infecting devices - but that was just a piece of a bigger pie. 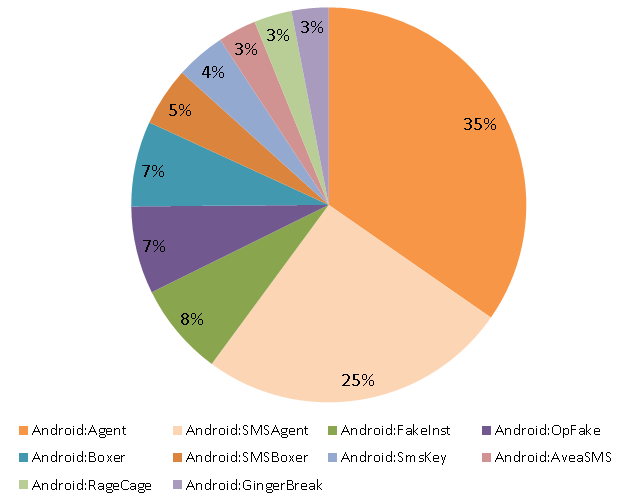 What might be strange in the second graph is that four of the top ten have something to do with SMS sending. That means they are able to steal your money using SMS messages. That's probably the most common way for mobile cybercrooks to quickly steal money. For malware programmers, it is really easy to access those parts in devices and send premium messages. I hope that even skeptics will agree that protecting your device from malware threats is necessary these days. :) Try avast! Mobile Security for free.